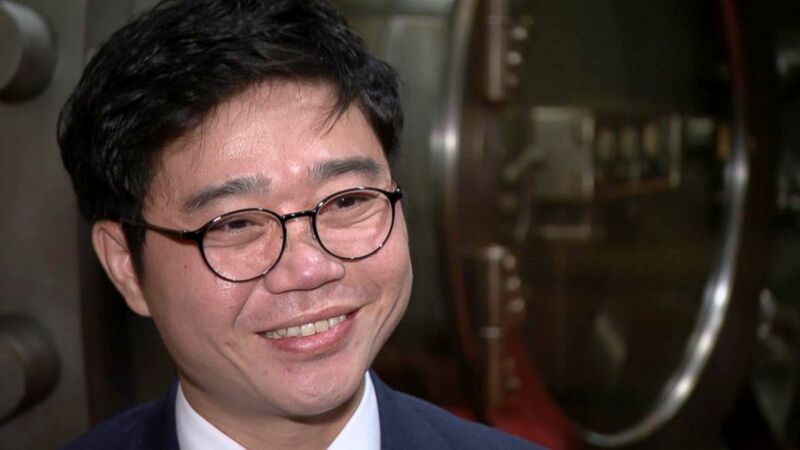 Back in January, Ji Seong-ho was President Trump’s special guest at his State of the Union address, where the president told the story of Ji’s harrowing escape from North Korea. Having lost an arm and a leg after being by a train years before, Ji managed to travel hundreds of miles to China – on crutches. “Seong-ho’s story is a testament to the yearning of every human soul to live in freedom,” Trump said. 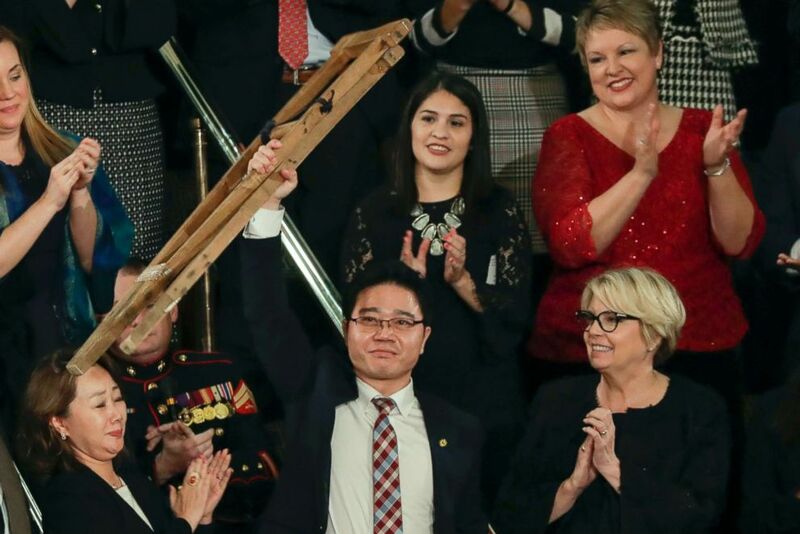 Ji Seong-ho, a North Korean defector, holds up his crutches after his introduction by President Trump during the State of the Union address to a joint session of Congress on Capitol Hill in Washington, Jan. 30, 2018. Ji is one of about 32,000 North Koreans in the past decade who have risked it all to get out from under the Kim regime – and for them the Trump-Kim summit was not just a political meeting, but a personal reckoning as well. While Ji and other defectors ABC News spoke with agree that life in North Korea can be brutal, they have perhaps surprisingly different opinions on whether the summit was a success, and whether the North Korean people will benefit. Ji Seong-ho was invited by President Trump to attend the State of the Union address in 2018. He hopes human rights come up in future discussions between Trump and Kim Jong Un. For some defectors like Ji, who defected from North Korea in 2006, the summit was an optimistic occasion. Many have criticized President Trump after the summit for not condemning Kim Jong Un’s brutal treatment of his people, including torture and imprisonment in labor camps, according to the United Nations. But Ji sees the summit as merely a first step that will lead to more conversation. After the summit, Trump called Kim “very talented” and said he “loves his country,” drawing more criticism for complimenting the ruthless dictator. But Ji said the flattery is “a diplomatic gesture.” “I don’t think it necessarily means a whole lot to me,” Ji said. He says living in North Korea with a disability was unbearable and meant certain poverty, so he crossed into China to find food. There, he was introduced to Christianity, and says he prayed in secret for years, keeping his outlawed religious beliefs from his own father and brother. When Ji’s family attempted to defect, his father was captured and tortured to death. After Ji managed to make it to freedom in China, he kept his crutches as a reminder of how far he has come. Now, Ji lives in Seoul and is the president of Now Action & Unity for Human Rights, which advocates for North Koreans. He recently visited Washington, D.C., to meet with lawmakers and receive an award for his work. “I think the fact that not only the executive branch, but also the Congress and even the American public are very interested in human rights issues in North Korea really gives us a big strength to our cause,” Ji said. As for his former leader, Ji says it’s “really pitiful” that Kim Jung Un’s objective in all of this is to protect his status. “Right now, he doesn’t look anything more than a dictator desperately trying to keep his place. But the whole world is embracing democracy and human rights as important values, and I think it’s inevitable those values will reach where we are going.” Ji hopes that North Korea will eventually dissolve concentration camps and open borders for free business and investment, as well as immigration. But not every defector is as hopeful about the summit as Ji. Kang Cheol-Hwan believes President Trump is being tricked by Kim Jong Un. Trump is being tricked by Kim who wants to keep all attention on denuclearization so that there won’t be any time or opportunity to raise the issue of human rights, Kang tells ABC News. Kang was sent to a prison camp with his family at the age of 8. He was released ten years later then fled to Seoul in 1992. He is the author of “The Aquariums of Pyongyang (2000),” the first survivors account of North Korea’s concentration camps. An Chan-il escaped North Korea in the 1970s and became the first defector with a doctorate. He is now director of the World Institute for North Korean Studies. An Chan-il diagnosed North Korea as a place where human rights were completely out of question. Although the international community is constantly shouting out loud, how the communist regime is treating its people outside the opulent capital city Pyongyang, inside, there isn’t anyone fighting for their rights. He said no one would fight to achieve their basic rights in North Korea, because they have become numb to the agony around them. “Witnessing public execution and neighbors starving to death, they just cannot realize they are deprived of basic rights,” An told ABC News. 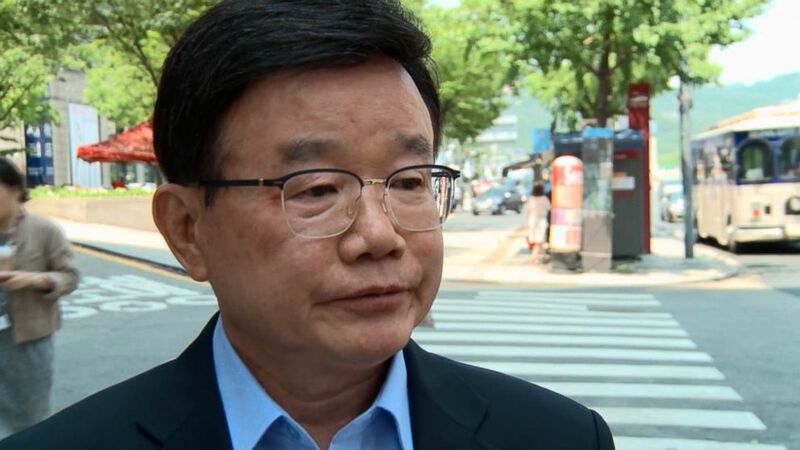 The defector expressed disappointment in President Trump’s press briefing after the US-North Korea summit. According to his acquaintances still living in North Korea, there are children who die of food poisoning, after eating grass scraped off from the roads. Dozens of soldiers died from electrocution while trying to keep the construction site running as fast as possible in the town of Wonsan. An escaped the communist country in late 1970’s, crossing the demilitarized zone. 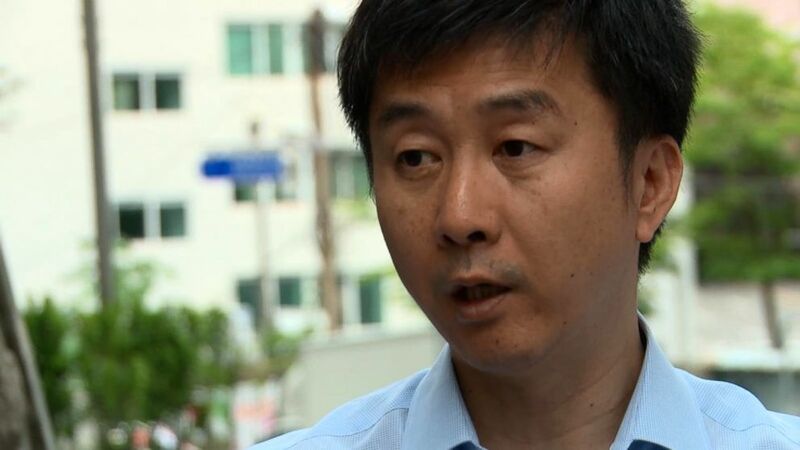 He became the first North Korean defector with a doctorate and now serves as chair-professor at Open Cyber University of Korea. 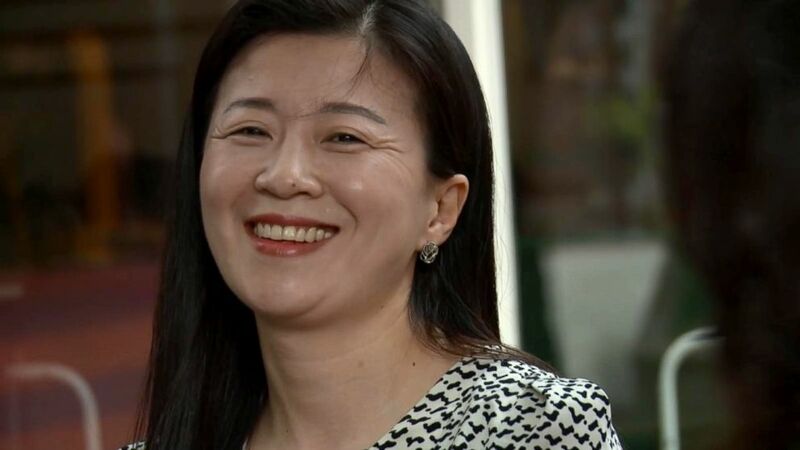 Song Ji-young, who fled to Seoul in 2004, says she hopes the the Trump-Kim summits means she may someday be able to go back to her hometown in Hamkyungbukdo Province, North Korea. Song was born after her parents were downgraded to a rural post. Her father, originally from a ‘pure’ enough background to reside in Pyongyang, had been punished for a car accident while driving. She worked at a propaganda arm of her hometown in Hamkyungbukdo as an announcer. Song fled to Seoul in 2004. ABC News’ Matt McGarry, Jaesang Lee and Jiweon Park contributed to this report.